Stanford freshman softball outfielder Bessie Noll has great bat speed, developed over years of baseball training. Sure, Stanford freshman outfielder Bessie Noll is American. Her devotion to the Minnesota Twins hints at it. Her passport confirms it. Where she comes from is a more complicated question. Most of us have memories that seem to far outlive useful retention when it comes to the places we are from. Food, triggering as many of the senses as it does, frequently figures. The taste of corn on the cob on a summer afternoon, or the smell of roasted chestnuts from a street vendor's cart on a winter evening can erase years and miles in the blink of an eye. It's not the food itself that matters, mind you, but the connection it makes to a place and time. It might be the yakiimo man driving his compact truck through neighborhood streets in Japan, loud speakers affixed to the top of the cab alerting people to the snack cooking over a fire in the flatbed. "It's like roasted, almost smoked, sweet potato," Noll explained. "It's really good." It's one of those things that defines home to her. It is what she grew up with. Born in Yokohama, Japan, to American parents teaching at international schools and raised in Tokyo, Noll's story is shared by expatriate families the world over, a child of one culture immersed in another. Less common, perhaps even unique, is the athletic path she followed as a result. There just aren't a whole lot of Division I softball players who aspired to play baseball in the Little League World Series. There are even fewer who aspired to play for the Japanese team in Williamsport, Pa.
"We knew we were getting somebody special that maybe nobody else knew about," Stanford coach John Rittman said. "She's very athletic, she's got this little swagger about her." Noll's introduction to baseball was anything but unique. She played catch with her dad and tried T-ball during the family's summer stays in Minnesota. It's just that there weren't a great many options for her back in Japan, so when someone who worked at the school where her parents taught suggested she try a local little league team, the 8-year-old Noll found herself out there among local boys. Boys who practiced for double-digit hours on Saturdays. And then did so again on Sundays. Bessie Noll was a part of the U.S. women's baseball team that lost to Japan in the gold-medal game of the 2012 IABF Women's World Cup. "When I think of sports and I think of practicing, I think of going all day, going 10 hours a day for consecutive days," Noll said. "After I quit little league, I didn't get that for many years, that consistency and that length of practice time. But now at Stanford, it's very similar. It's maybe not as long for periods of time, but it's more days, it's more early mornings. So for me, as an athlete, I would say that is all I know. All I know is long hours, reps and not enough sleep. "I don't want to say that's the only way to get better or the only way to succeed, but coming from a Japanese cultural perspective, I was taught the way that you get better was you do it all the time." The Musashi Fuchu Little League in Tokyo has produced a pair of teams that won the Little League World Series, one in 2003 and another in 2013. For six years, Noll wasn't just part of that system, but one of its key players, the starting centerfielder on a team that in 2010 lost in extra innings against another Tokyo team that went on to win the Little League World Series. She was that close to making the trip to Williamsport as not just the first American on a Japanese team in the event, but the first such girl. Baseball remained part of her life (she was a part of the United States team that lost to Japan in the gold-medal game of the 2012 IABF Women's World Cup), but it grew increasingly clear to her as the years progressed that there were more opportunities on the softball side of the aisle than baseball. She started playing travel softball, the engine that drives college recruiting, for a team out of Minnesota the summer after her sophomore year in high school and went to a camp at Stanford. "She's got great bat speed," Rittman said. 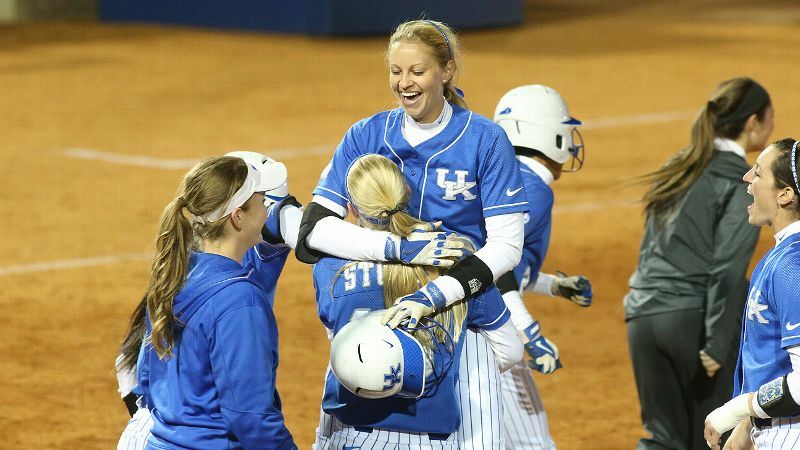 "She's got a tremendous arm, one of the best arms I've ever coached." The shift in sports was more a matter of practicality than passion, but it wasn't one that left her pining for her former life. 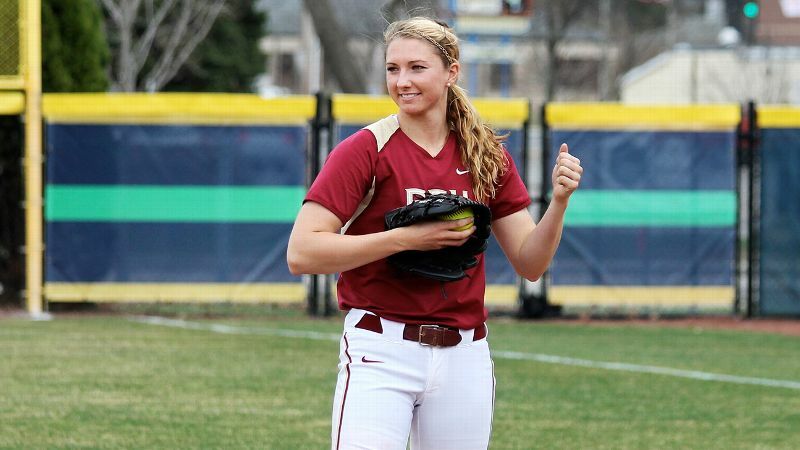 "It's very difficult to play on a baseball team as the only girl," Noll said. "I've done that a lot -- I've done that my entire life. So one of the things I liked about softball was the fact that you get to play with 18 other girls. It's not that boys aren't supportive; they are. It's just that there is always a sense of 'Is she better than me?' I never felt as comfortable as I would on a team of girls." Noll wasn't a complete unknown to the college softball community, with Washington also interested in signing her, but she nonetheless arrived at Stanford for her freshman year having essentially played the sport competitively for three or four months, spread out over successive summers in Minnesota. One of the things Bessie Noll, right, likes about softball is camaraderie she feels playing with 18 other girls. "She came in and it was just like, 'Wow, who is this?'" teammate Kayla Bonstrom recalled. "I've never seen a ball thrown so hard in my entire life or hit so far in my entire life. Bessie was just one of those people where you see a freshman coming in and you know she's going to be good." She started for the Cardinal from the outset, although in what is essentially a rite of passage for most first-year players in the Pac-12, conference play is taking its toll on her numbers. There aren't any easy weekends in the league: The rise balls get that much more difficult to lay off, the changeups that much more diabolical. Their obvious similarities aside, softball and baseball are distinctly different games, most of all for a hitter used to pitches coming from a release point above her head instead of underhand from below her waist. The first time through the conference is a steep learning curve for all but a very few hitters, even among those with decades of preparation instead of months. Given her progress to this point, four years ought to be more than enough time to regain the upper hand. More than a few college softball stars make their way to Japan after graduation to play in that country's professional league, but it probably won't be the sport that takes Noll back across the Pacific. 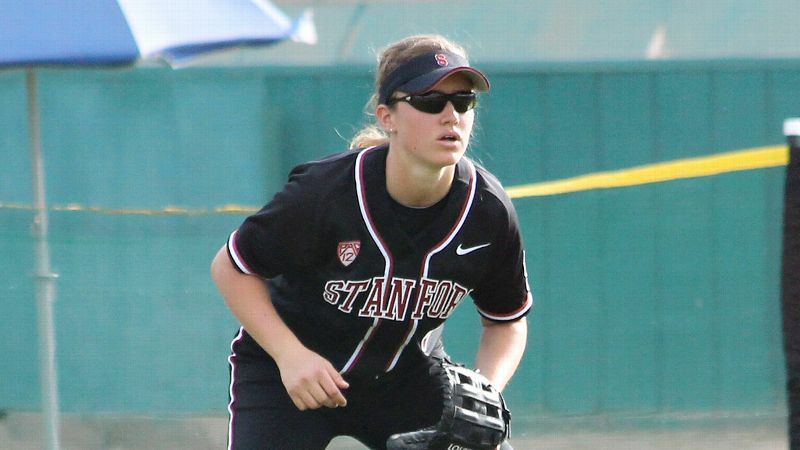 Part of the reason she wanted to go to Stanford was to prepare for life after softball. It's also why she is taking Japanese classes to improve the conversational language skills she picked up on the baseball diamond. It's a long way off, but when she thinks about what comes next, the setting always seems to be Japan. "I like the humility," Noll said. "I like the fact that they put the community and the community's needs over the individual's needs. I would say that's the best way I could sum it up. They're very selfless people, and sometimes that can get them into trouble, in terms of living a happy life and enjoying what they do, but they're absolutely loyal to you through to the end. You will never feel unsafe. I like that part of it. "I like the part where I will care more about my peers and my community and my team over my own needs." And, of course, there is a more universal reason to go back. The same reason people the world over can't wait to go home. "The food," Noll sighed. "Oh god, I miss the food."